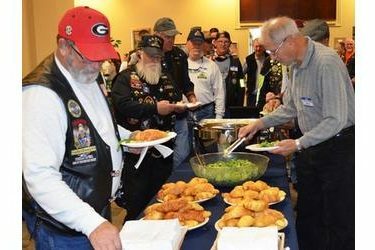 For the fourth year in a row, the Student Veterans Association at Seward County Community College/Area Technical School invites local and area vets to come for lunch on campus Wednesday. The event, set to begin at noon in the Student Union, will feature guest speaker retired Sergeant Major Ivanhoe Love Jr., musical performances from the SCCC/ATS vocal department, and a free meal for veterans and their families. Hickman says the club serves a unique role. As part of a national organization, SVA in Liberal provides a network that students can access if they choose to transfer to a four-year college or university after completing an Associate degree at Seward. It also provides a local group of veteran mentors, including SCCC/ATS employees Hickman, Bert and Ruthie Luallen, Luis Vela, and David Hormig. �??We�? ?ve all been there, in the service, and we enjoy creating that sense of camaraderie with students,�?� said Hickman. This year�? ?s luncheon looks to be a high point, he added.